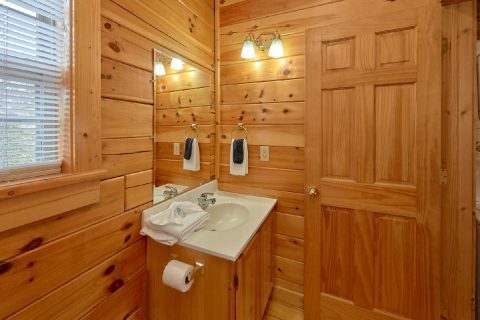 Searching for a secluded cabin rental that's close to Gatlinburg, TN? 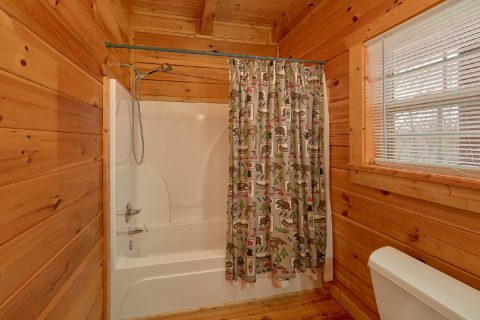 Look no further than "Heaven's Gift!" 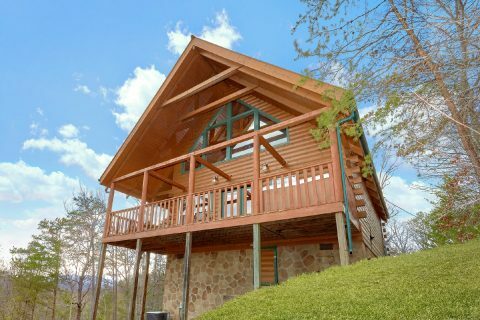 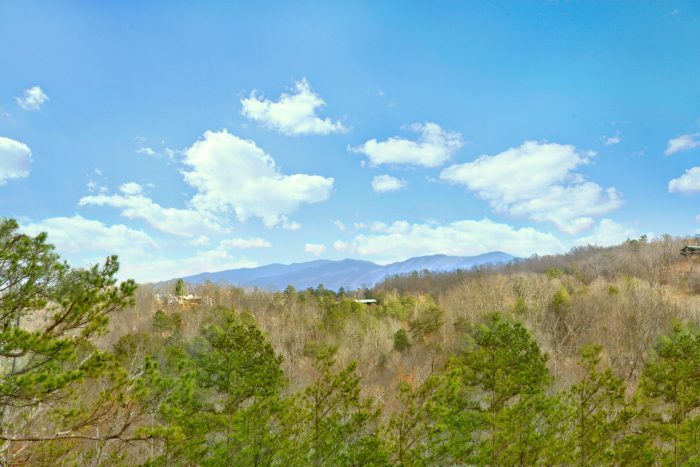 This lovely 2-bedroom cabin rental in the Upper Middle Creek road area boasts a prime location that's less than 10 miles away from Gatlinburg and Pigeon Forge, TN! 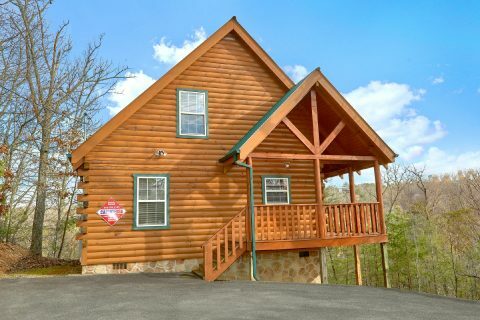 Better yet, this rental also provides convenient access to Dollywood Theme Park. 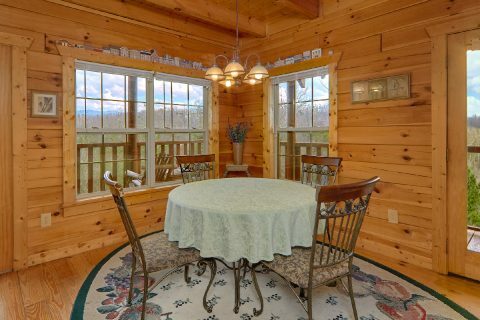 In addition to offering a great location that's close to fun attractions in the Smokies, this cabin also provides guests with a secluded setting that features nice mountain views. 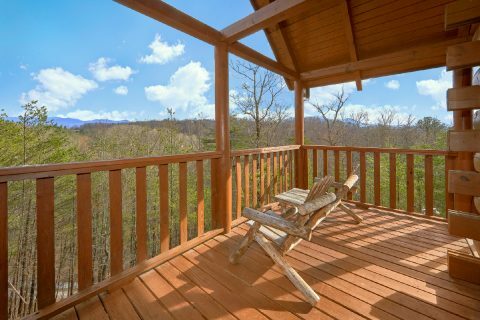 From this cabin's deck, you can always enjoy the gorgeous scenery while you kick back in the hot tub or sit in a rocking chair. 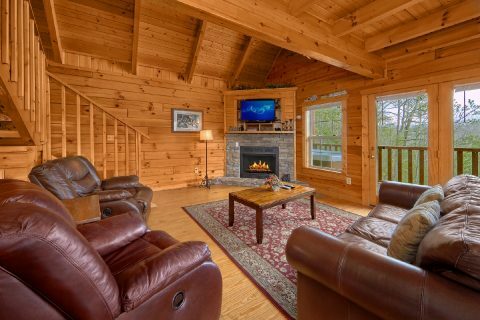 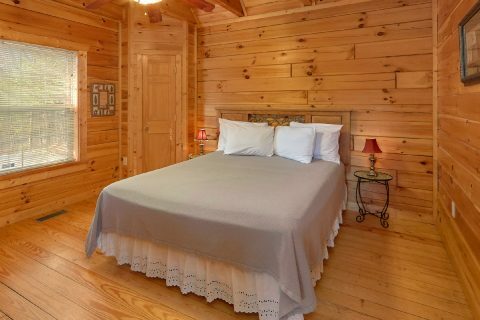 Inside this cozy 2 bedroom cabin in the mountains, you'll find a welcoming living area complete with a gas fireplace, a television, and comfortable furnishings. 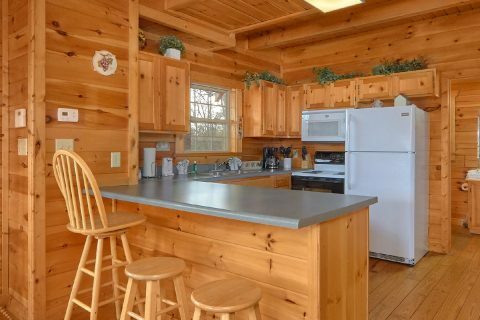 In your cabin's full kitchen, you can prepare delicious meals to enjoy during your stay. 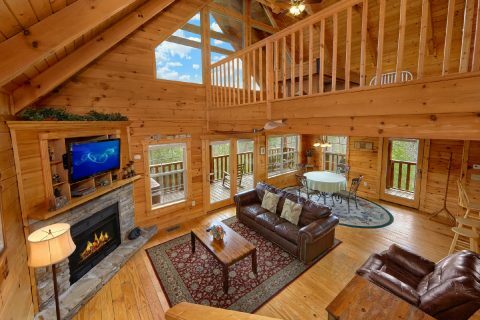 There's even a charcoal grill so you can host your own cookout in the beautiful Smoky Mountains of Tennessee. 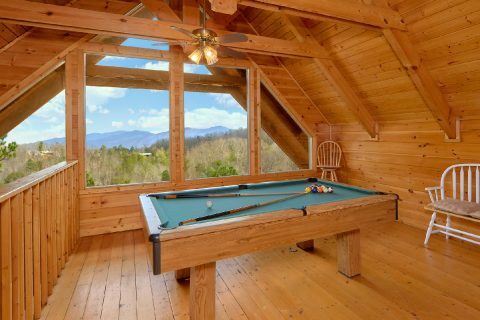 For some in-cabin entertainment, your cabin's upstairs loft features a pool table in a room with large picture windows that features your cabin's lovely scenery. 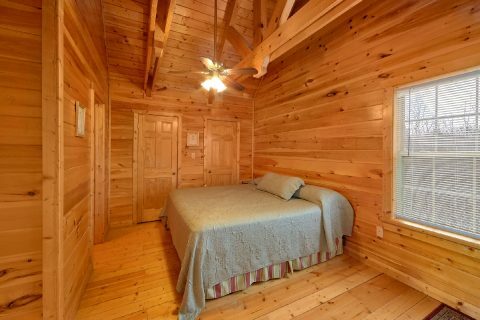 With 2 private bedrooms and a sleeper sofa in the living room, this cabin can comfortably sleep 6 guests. 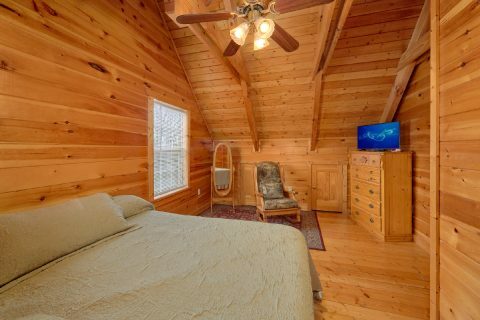 The main level is home to a bedroom with a queen bed and the upper floor is home to a bedroom complete with a king bed, a private bathroom, and a television. 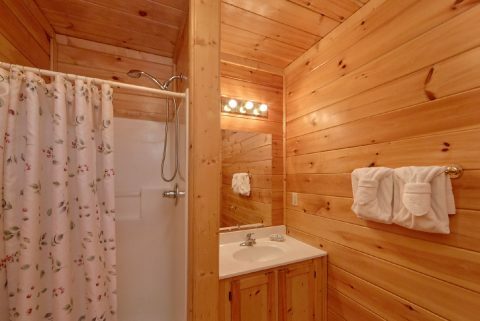 Lastly, "Heaven's Gift" provides useful features like a washer/dryer for you to use during your stay. 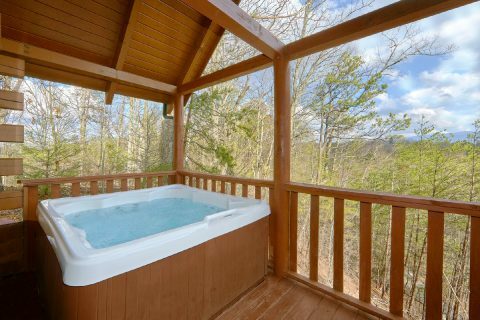 Book this affordable Gatlinburg cabin that boasts a private location today with Cabins USA Gatlinburg to save 15% on your nightly rate in the Smokies!